Viral Tag Social Media Manager is one of my more recent discoveries and to be quite honest, I don’t know how I managed without it before now. On an average day, I spend…well, far too many hours writing, scheduling, and posting on various social media accounts. Of course, I need the assistance of a social media manager to do this or else I’d lose my whole day to the Twitterverse. Now, it used to be that I used two or three different social media management tools to get the job done…the problem? Firstly, I LOATHE having to hop between tabs and services when what I want to do seems so simple. Secondly, I KNEW there had to be a comprehensive social media manager out there…I just hadn’t found it yet. So, about a month ago I started looking a little harder. I was going to find the one ring that ruled them all…the social media management tool that did EVERYTHING. I signed up for a good twelve services and trials. Each time I’d think I’d found the “perfect” solution only to have it fall short. Then, just as I was about to give up, I ran across Viral Tag. I knew what I was looking for and it was purely by chance that I found Viral Tag – the one tool that actually DID what I was looking for. 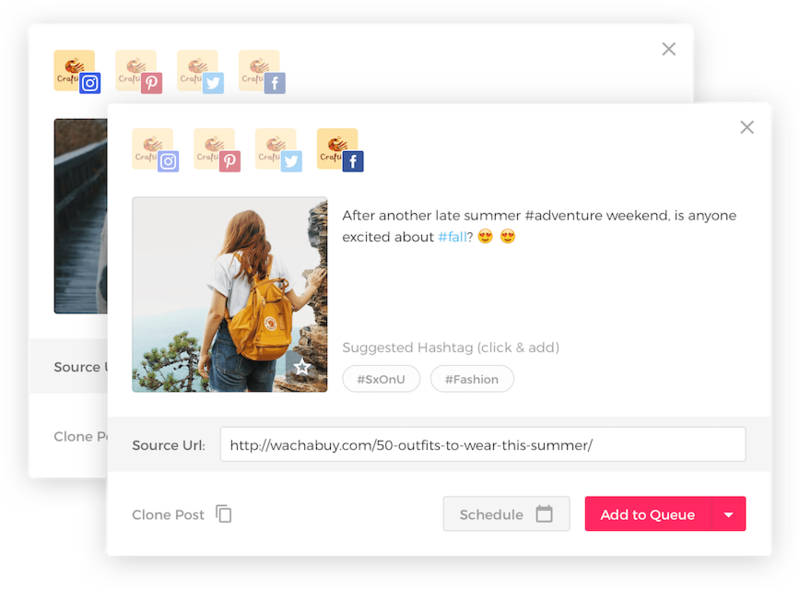 I am able to write ONE post and use a “clone” feature to replicate that post to other social networks which make social media specific tags EASY and saves me SO MUCH TIME. 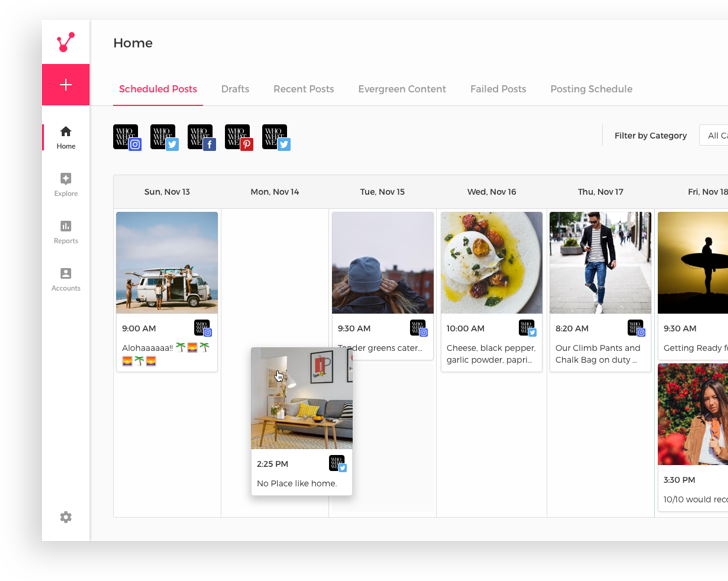 I can MASS schedule an UNLIMITED number of posts to my social networks – hello free time and goodbye missed posts. It comes as close to automating Instagram posts as anything does. 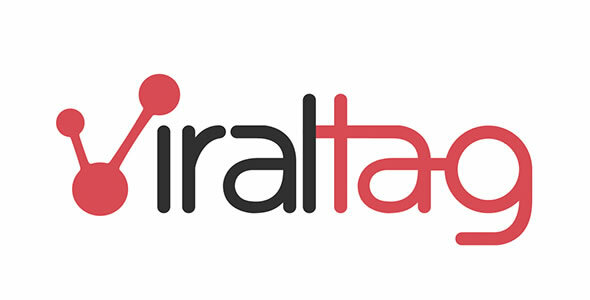 I don’t have to pay a fortune monthly for limited scheduled posts – Viral Tag is REALLY affordable. Google Analytics connects straight to the dashboard so I can see stats on my account right away. I can see a copy of my recently published social media posts from an easy access tab on the dashboard. There’s a section to monitor Evergreen content so it can easily be republished when there is a gap in my social media posting schedule. I can access categorized posts from other posters in my favored categories and share their content from my dashboard. I can also create a posting schedule that is used to publish content I write when I don’t set a specific post time. There is an option to categorize social media posts to better track them on multi-category business networks. I can’t tell you how many hours I have wasted copy and pasting posts to multiple social media networks, now I hit a button. One single button. 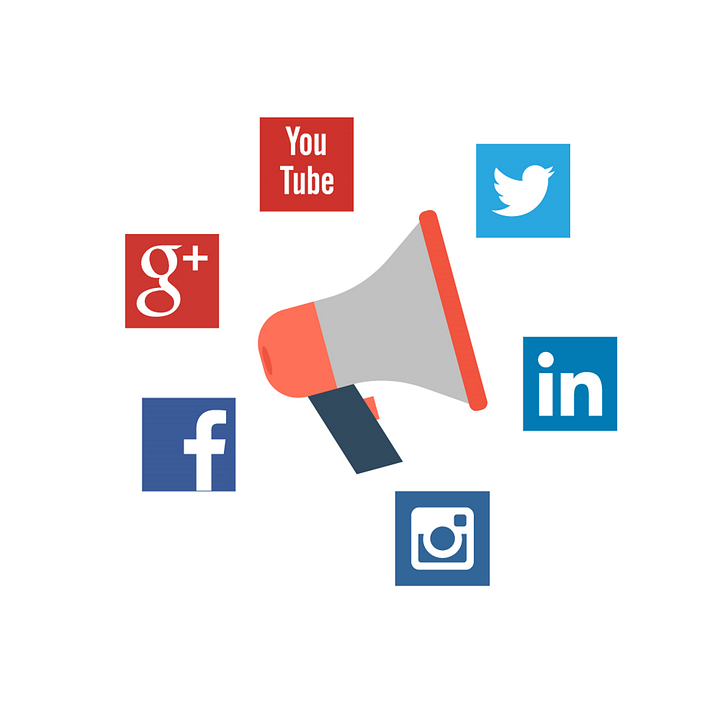 Why Do I Recommend Viral Tag Social Media Manager? After the points listed above, do you really need to ask? If I have to sum it up in one sentence…IT SAVES ME TIME. And we all know that time is money! Check out Viral Tag for yourself and see how much time you can save.